Living and believing in an unstable and vulnerable world has become the prevailing experience and challenge for most societies worldwide, and so too for many parts of Europe, as we move further into the 21st century. Progressive thinking has hit real barriers for some time now, with no clear vision for our common future available, giving way to different forms of retrotopian nostalgia which pronounce revisionist hopes of an imagined past (Zygmunt Bauman, Retrotopia, 2017). Recent analysis, however, proposes reading the profound changes, risks and vulnerabilities of our current world as being part of a deep, even metamorphic transformation (Ulrich Beck, Metamorphosis of the World, 2016). 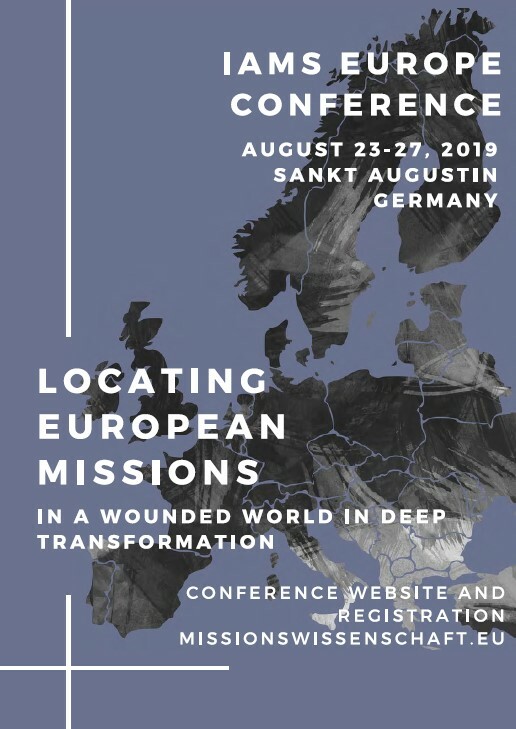 IAMS Europe seeks to promote exchange and collaboration of regional missiological networks, senior and junior scholars, as well as students across Europe. Its vision is to provide room for new research and opportunities for cutting‐edge reflections. Inequalities and Vulnerabilities: Mission in a Wounded World”, 9-14 July, 2020. For the IAMS Europe conference the Call for Papers is out now. Abstract proposals are to be sent to 2019iams-conference@steyler.eu until February 1, 2019. The Central and Eastern European Association for Mission Studies is an international and interdenominational platform for reflection on missiological issues and practice established in 2002 as an informal network, and facilitates a variety of initiatives in missiology in the region. Check out our previous newsletters and sign up to get the latest news! Acta Missiologiae is an interdenominational, peer-reviewed, missiological journal with a particular focus on Central and Eastern Europe. © CEEAMS - Central and Eastern European Association for Mission Studies 2016 - All Right Reserved.